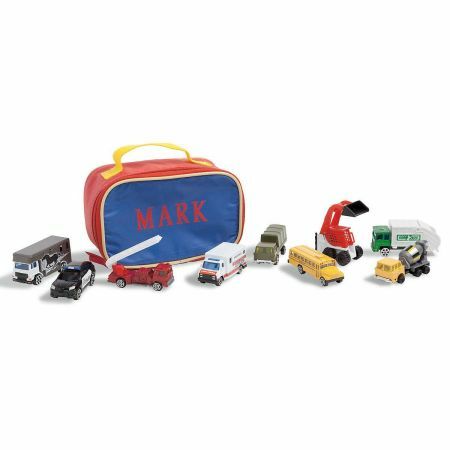 Each super-cool 9-vehicle play set comes with 3" x 4" x 6 1/2"W nylon carry case and is perfect for on-the-go play — kids just load up the metal and plastic vehicles, zip the case closed, and they're off! Ages 3+. Assortments may vary from those shown.